This Ahmanson Ranch wedding photography album is covered in a beautiful brown leather featuring a cute detail photograph of the bride and groom's engagement and wedding rings and their names blind debossed in a modern font face and design. 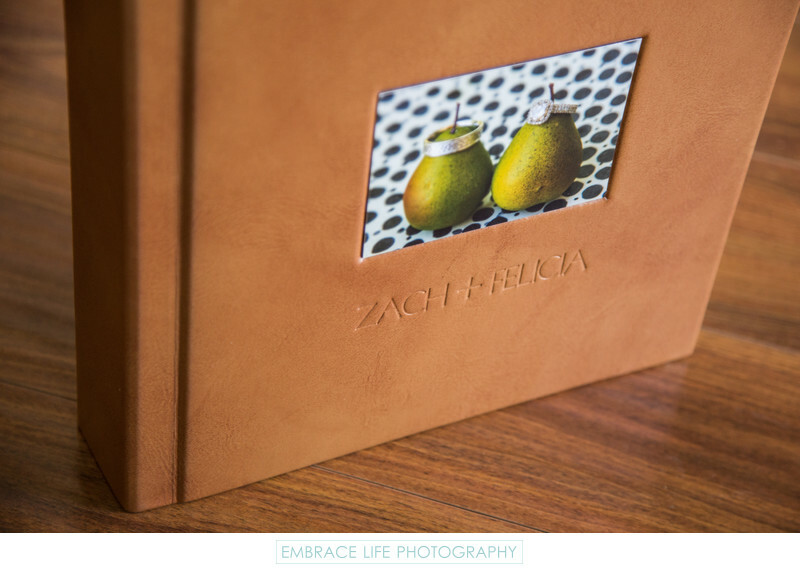 When designing the cover of this Flushmount Luxe Album, the goal was to compliment the rustic, natural and playful style of the ranch wedding photography on display inside. Keywords: Elegant Album (45), Luxe Album (51).